Indian spices are famous all over the world for their rich taste and unique flavour. India produces variety of spices all across the country varying with the climatic conditions. India has been cultivating spices for ages and also exporting them to other countries around the world. Indian spices add to the taste of food, giving it a delicious flavour and making it absolutely yummy. The most popular Indian spices used are Asafoetida (Hing), Bay leaves, Cardamom (Elaichi), Cayenne pepper (Lal Mirch), Cinnamon (Dalchni), Cloves (Luong), Cokum, Cumin (Jeera), Fennel (Soonf), Fenugreek (Kasuri Methi), Mango powder (Amchur), Mint (Pudina), Nutmeg and mace (Jaiphal and Javitri), Onion Seeds (Kalonji), Saffron (Zaffran) and many others. Here is a list of the most popular brands of India (Indian Masala Brands) which produce Indian Spices. Everest Spices is an Indian manufacturer, distributor and exporter of ground spices and spice mixtures under the brand name Everest. It is India’s largest spices brand based in Mumbai. More than 20 million households use Everest spices regularly. The brand is stocked by 400,000 outlets in more than 1000 towns across India. Everest is a major exporter to the US, the Middle East, Singapore, Australia, New Zealand, East Africa and other countries. More than 3.705 billion packs of everest sold each year. There more than 42 blends under the Everest brand name. Mahashian Di Hatti Limited is an Indian manufacturer, distributor and exporter of ground spices and spice mixtures under the brand name MDH. It specializes in several unique traditional blends of spices suitable for different recipes. The company was founded in 1919 by Mahashay Chuni Lal as a small shop in Sialkot. It has since grown in popularity all over India, and exports its products to several countries. It is associated with Mahashay Chuni Lal Charitable Trust. The MDH brand name is very well known throughout India. 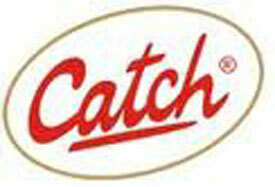 Catch Spices is India’s foremost spices brand known for its matchless product quality and innovative approach. Catch spices are ground using the unique state-of-the-art Low Temperature Grinding (LTG) technology, which prevents the evaporation of volatile & delicate oils from spices. Catch Spices thus retain the original aroma and wholesome flavour of authentic spices. The complete assortment comprises of a variety of salt and pepper sprinklers and a diverse range of whole, ground and blended spices. Catch Spices are packed in food grade metal-lined cartons, flexible laminates and convenient composite cans available in a variety of pack sizes. Mothers Recipe was founded by Shri Haribhai V Desai who initiated the business operations in 1901. Today, Desai Brothers Limited stands as a Rs. 550 crore company and one of the largest employers in the nation. Desai Brothers Ltd holds a strong presence in the global arena especially in the Middle East, Far East, Australia, UK, Canada and US, being one of the largest providers of traditional Indian kitchen taste exported to more than 30 countries in the world. Mother’s Recipe offers wide range of products made especially with blend of exotic spices and masalas which help you to make delicious Indian preparations and the enjoy the meal to the fullest. The history of cookme streches back to 1846. It was founded by Krishna Chandra Dutta. 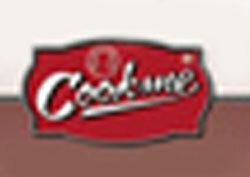 Over all those years, Cookme has become a very popular Indian Brand for Spices. Over the past five decades, COOKME has dug deep into the exotic world of spices, unlocking and revealing the authentic blends that make popular Indian dishes so distinctive in taste, flavour and aroma. This knowledge and expertise, it shares, with the Indian housewife to the star hotel kitchens through its range of Master Spices, Blended Ready Mixes and Curry Pastes. “PRIYA” is a registered trademark of Ushodaya Enterprises Private Limited. Once, making your favourite pickle was an arduous ritual: picking ingredients, washing, cutting, pounding, grinding, preventing contamination and ensuring long life etc. In 1980, the visionary Chairman Sri Ramoji Rao created Priya. Today Priya is a global brand. It is the preferred choice of millions across the world, taking India to nations and continents. Priya launched its exploration of the world of taste with six flavours of pickles. Now it has grown immensely. “Pushp Brand Spices” are brought to you by “The Munimji Group of Companies” based in the commercial capital of Central India – Indore. Pushp enjoys the reputation of honesty, purity, and hygiene in all its businesses. Pushp has a rich expertise in the business of spices. Pusph Brand spices are being sold in all states of India for 25 years. The Company has a very strong marketing network throught India. “Agmark” is the certification of quality for Food products in India. Push Brand Spices enjoys the confidence and trust of Agmark. All its products are Agmark certified. India, the Queen of Spices, has always attracted the world with her exotic masalas. In fact, the connection goes back many centuries. Ramdev has preserved the Indian values in all its products ever since it started as a small unit in 1965, in Ahmedabad, India. A small step became a giant leap in no time. But there was a binding force, a commitment that helped Ramdev keep its promise of purity and freshness in its products for all these years. Ramdev’s immense belief in the philosophy of ‘reaching a customer’s heart through quality’ has enabled it to spread the rich Indian heritage to millions of homes all over the globe. Nilon’s Enterprises Private Limited was founded way back in 1962 by Shri Suresh B. Sanghavi as a cottage industry. From a humble beginning, Nilon’s has today become the largest producer of Pickles, Tooty-Fruity and Roasted Vermicelli in India. Managed by a professional and dynamic team, Nilon’s is now among the fastest growing processed food company in India.